We’ve changed our alien Snoo logo today to show solidarity with those who support freedom of speech and condemn violence. Happy New Year! 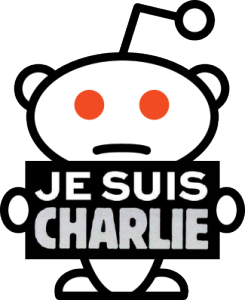 reddit has a lot of big plans coming up for 2015. But, let’s start with some good news. Remember that redesign we did of the login and account creation window back in November? 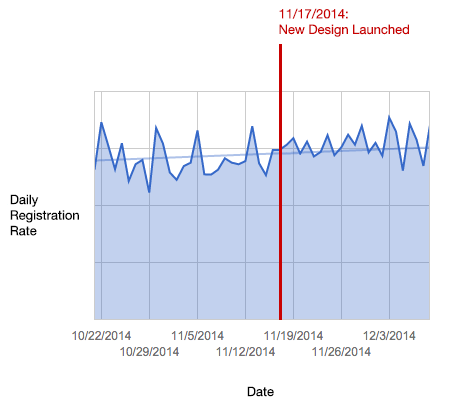 It lead to signups increasing by nearly 8%! That’s pretty significant for a site that gets as much traffic as reddit. It means 4500-5000 new users a week, and over 200,000 new users a year. Thanks to Chris D, Joe D, and Tiffany D for analysis and to Dave W for implementing this change.